Peeking out of the ocean, sitting almost directly at the mid-point between Asia and North America, is a spec on the map called Wake Island. Nadim Maghzal happened upon the tiny landmass, deeming it worthy of becoming the group’s namesake. Symbolically, it was too perfect to leave behind. Wake Island’s roots are split between Lebanon, Canada, and the U.S., making for a cultural soup of epic proportions. With vocalist Philippe Menasseh and Maghzal hailing from the East, bassist Derek Koziol from America, and drummer Evan Tighe from Canada, finding musical common ground was an ongoing challenge at the start of Intensive Care – the project that preceded Wake Island, with Jonathan Parsons on drums at the time. Having spent the first 18 years of their lives in Lebanon, Maghzal and Menasseh were exposed almost exclusively to Britpop and European rock and roll, given the prevalence of MTV Europe as opposed to its Western counterpart. When those foreign influences paired with the other members’ backgrounds from the North American music scene, the result was friction and vexation. With the progression of time came closeness between the bandmates, newfound understandings, a new drummer, and the identity shift from Intensive Care to Wake Island. In the wake of Tighe’s induction, the band spent five months in the studio on hiatus from recording. Instead, they were jamming, finding their footing and establishing a cohesive sound. Thanks to its motley origins, Wake Island is naturally able to transcend and breathe new life into the often hackneyed sound of indie rock. Regardless of the group’s detached perspective, their willingness to stay true to the ideologies behind the genre remains intact. “Typical indie rock is this whole idea of doing everything yourself,” said Maghzal. Currently putting out a record – It Takes Time to be Uncomfortable is being released on Feb. 16 – the band is taking care of all preparations, from hand-making the tickets, stickers and T-shirt designs to booking shows and manning the website. The organic, hands-on mentality that Wake Island has gladly adopted is not unique to indie rock, Maghzal noted, but a characteristic of rock music that has been prevalent since its inception. It Takes Time to be Uncomfortable aims to reflect the volatile period that Wake Island worked through in its initial stages. Immersed in conversation touching on familiar ideas of discomfort while on tour in Koziol’s native Boston, the bandmates came across an old photo of him as a child while visiting his house. 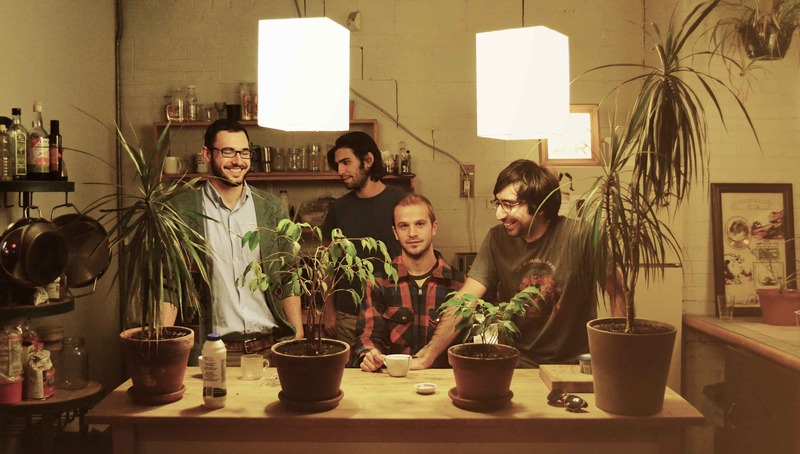 Wake Island plays Casa Del Popolo on Feb. 16 at 9 p.m. Tickets are $10.